Roughly 50,000 people completed the New York City Marathon this year. They trained for months. They bought expensive shoes, used new apps, or followed special diets. But some runners did all this preparation, only to fall short of the finish line. Kiley Roache spoke with Julia Spandorfer, a runner injured a few weeks before the race. She decided to start the race anyway, even if she might have to drop out early on. This piece was originally reported for a class at Columbia University Graduate School of Journalism. Users who like Why this runner started the marathon, even when she wasn't sure if she'd finish. Users who reposted Why this runner started the marathon, even when she wasn't sure if she'd finish. 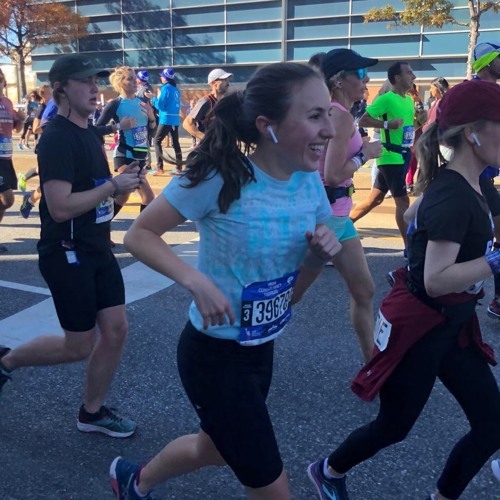 Playlists containing Why this runner started the marathon, even when she wasn't sure if she'd finish. More tracks like Why this runner started the marathon, even when she wasn't sure if she'd finish.